The mechanisms underlying the broad variety of oscillatory rhythms measured in the hippocampus during the sleep-wake cycle are not yet fully understood. 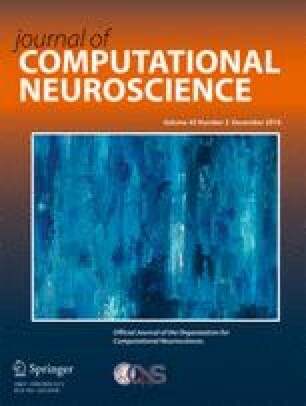 In this article, we propose a computational model of the hippocampal formation based on a realistic topology and synaptic connectivity, and we analyze the effect of different changes on the network, namely the variation of synaptic conductances, the variations of the CAN channel conductance and the variation of inputs. By using a detailed simulation of intracerebral recordings, we show that this is able to reproduce both the theta-nested gamma oscillations that are seen in awake brains and the sharp-wave ripple complexes measured during slow-wave sleep. The results of our simulations support the idea that the functional connectivity of the hippocampus, modulated by the sleep-wake variations in Acetylcholine concentration, is a key factor in controlling its rhythms. All the Python source files used for building the network and running the simulations are accessible on the ModelDB public repositories.